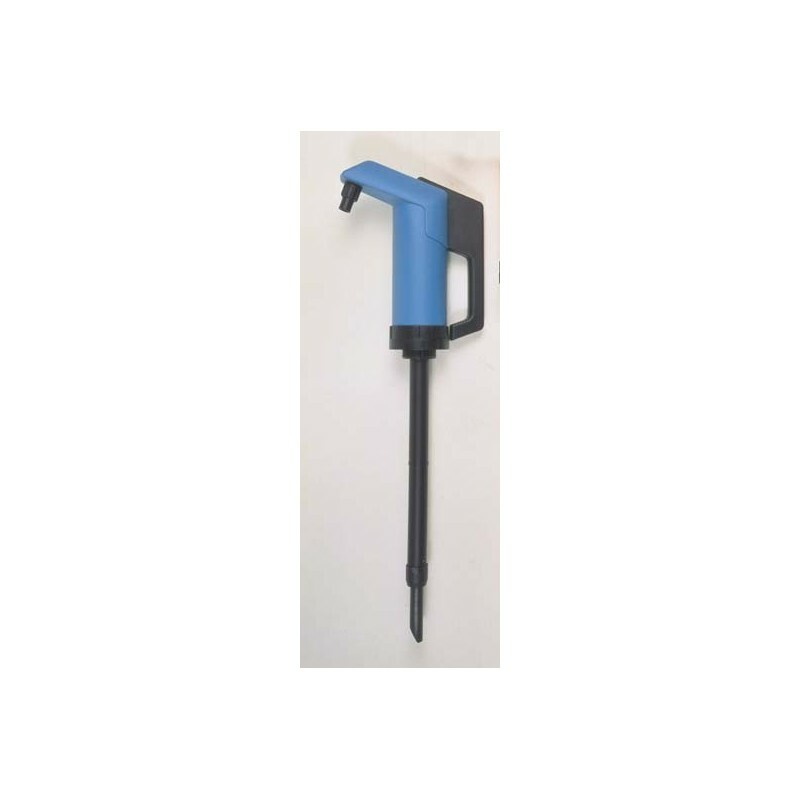 The HIGH CAPACITY HAND PUMP is a lever action piston pump that handles oils, detergents, and other fluids compatible with polypropylene. Filtered nozzle. 36” long telescoping suction tube adjusts for 15–55 gallon drums, fits 2" NPS and 2" buttress bung. Weighs 3 lbs.